How to take the case and How to use our Repertories and Materia Medicas by George Royal (1853-1931). 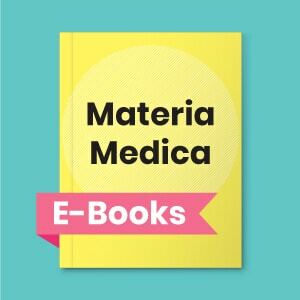 The author shares his wide experience in the correct method of case taking and analysis and using materia medica and repertories to find the most suitable remedy. An introduction to the basics of homeopathic case taking process with clinical insights. A case of menorrhagia elaborated to show homeopathy doctors take a case and assess the importance of symptoms. A practical demonstration of analyzing a case of frequent colds and the need for changing remedies to complete the cure. Many failures have resulted from the use of Cuprum ars. chiefly because it, the child, has been mistaken for its father, Arsenicum, or its mother, Cuprum, while, as a matter of fact, it has a identity of its own. A mental case in a neurotic, sensitive, emotional woman, as the predisposing cause. The exciting cause was shock. The results were, first, grief, then suppression of menses, a functional change, followed by delusions and illusions; also functional changes, and finally jealousy, with suspicions of her husband and her aunt. Inheritance plays a very important part in the make-up of our patients. Therefore, it is very essential when taking the case that we should go very thoroughly into the family history. When some allopathic physician asks me for advice about books I give him Case’s advice and add Hughes and Farrington’s Clinical Materia Medica. Both of these books I read every year. My text book on Homoeopathic Materia Medica I recommend for those who wish to make the tissue and organs the basis of their study.